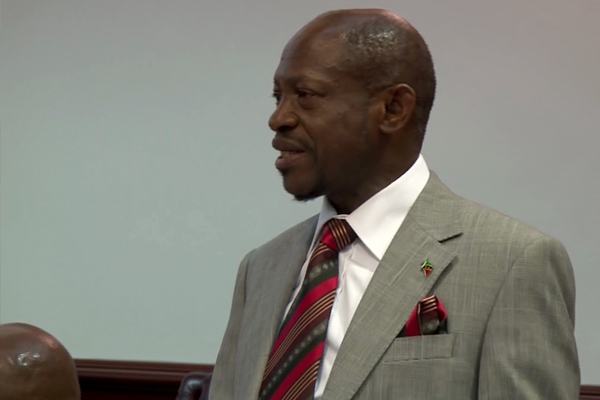 Basseterre, St. Kitts (SKNIS) — The Government will continue to “invest heavily” in education through its already established and soon to be launched programmes, as was outlined in the 2015 Budget Address. One example of this is the newly launched Education Foundation, which is now in operation. The Prime Minister noted that this programme has been created specifically to assist those who wish to access improved learning opportunities. To realise this goal, the Government has partnered with the Sugar Industry Diversification Fund (SIDF), in August, to launch the Recognising Everyone’s Ability to Climb Higher (REACH) Programme. The initiative is comprised of two components, namely the Educational Scholarships for Students in Advanced Institutions (ESSAI) Programme and the Training for Optimal Performance of School-leavers (TOPS) Programme. The ESSAI initiative awards two-year scholarships to students pursuing studies at the Clarence Fitzroy Bryant College (CFBC) Division of Arts, Science and General Studies and Division of Technical and Vocational Education and Management Studies, as well as the Nevis Sixth Form College. The TOPS initiative provides individuals with a two-year grant to pursue technical and vocational studies at the Advanced Vocational Education Centre (AVEC), leading to the Caribbean Vocational Qualification (CVQ) certification. TOPS also provides short-term professional and life and work skills training to recent school leavers who are committed to advancing their professional development in preparation for employment. Other programmes that will be introduced in 2015 include the establishment of a Student Support Services Department as part of the Ministry’s Child Friendly School initiative to help children and young persons with learning barriers to achieve their education and development potential; and the Successful Transition and Academic Readiness (STAR) Programme which seeks to address skill gaps by strengthening students’ skills and performance in remedial English, Reading and Mathematics.